[Image: The Altered Landscape: Photographs of a Changing Environment edited by Ann M. Wolfe]. I just received a copy of The Altered Landscape: Photographs of a Changing Environment, edited by Ann M. Wolfe, and it's well worth highlighting here. 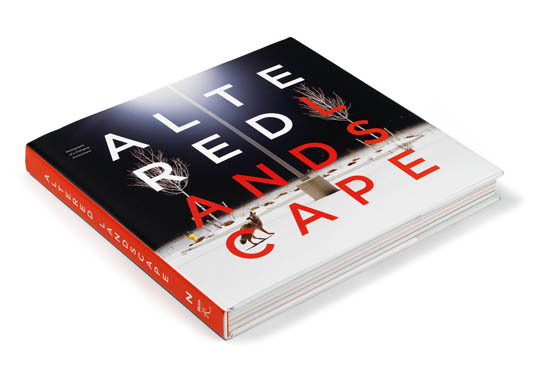 The book primarily documents the "Altered Landscape" photography collection at the Nevada Museum of Art. Its images "show the phase of natural history that is sometimes called the anthropocene, when human alterations of the environment have begun to surpass natural disasters such as earthquakes and volcanoes," in the words of art historian W.J.T. Mitchell. As Mitchell adds, these images are more complex than simple calls for environmental action: they paradoxically include "what I can only describe as the aesthetics of sublime melancholy that cannot avoid celebrating, even as it criticizes, the gargantuan scars and inscriptions that the human species is carving into the planet." [Image: "Howl" (2007) by Amy Stein; from The Altered Landscape edited by Ann M. Wolfe]. 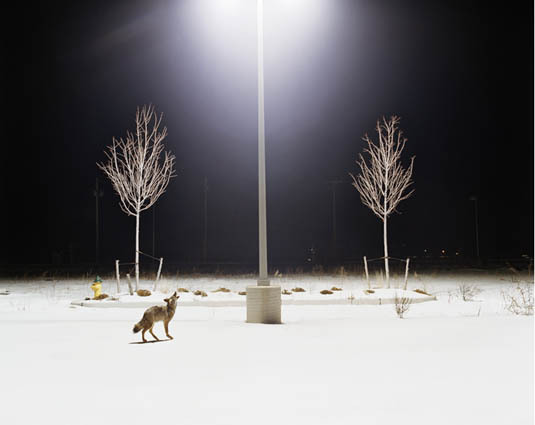 In "Howl" by Amy Stein, seen above, a wolf lost in the glare of light pollution breaks the silence of an abstract landscape, turning to the artificial astronomy of the municipal grid—its surrogate moons and constellations of streetlamps—to reorient itself in the snow. However, it's worth pointing out that the wolf is, in fact, stuffed: Stein's work simultaneously stages and documents what she calls "modern dioramas of our new natural history." 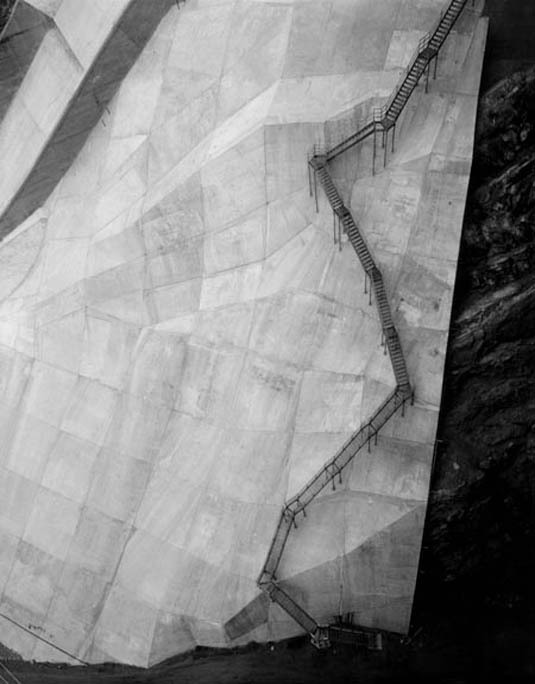 [Image: "Coolidge Dam, San Carlos, AZ" (1997) by Toshio Shibata; from The Altered Landscape edited by Ann M. Wolfe]. Short essays by the book's editor Ann M. Wolfe, Nevada Museum of Art director David B. Walker, W.J.T. Mitchell (as it happens, my former thesis advisor), writer/curator Lucy Lippard, and myself round out the book. The Altered Landscape: Photographs of a Changing Environment is published to coincide with an exhibition of the same name, which opens at the Nevada Museum of Art tomorrow, Saturday, September 24th.